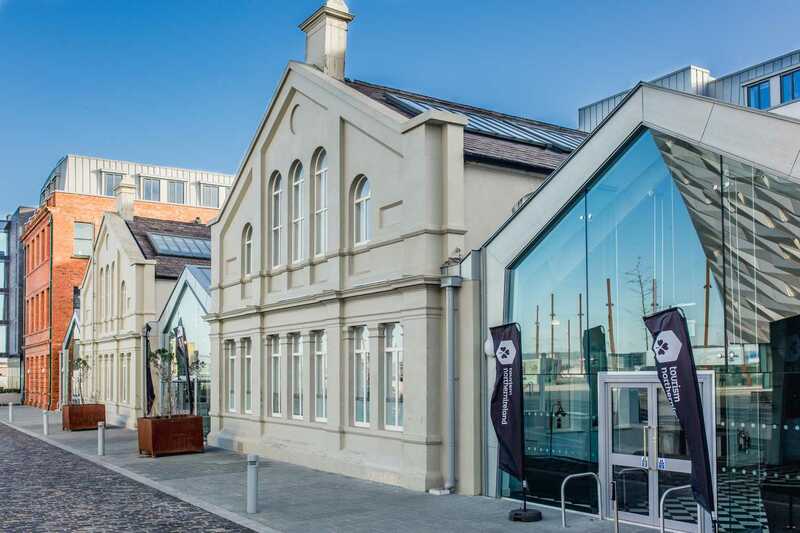 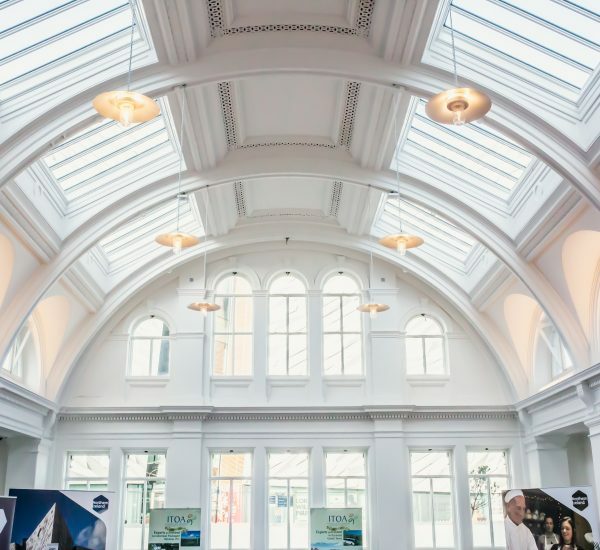 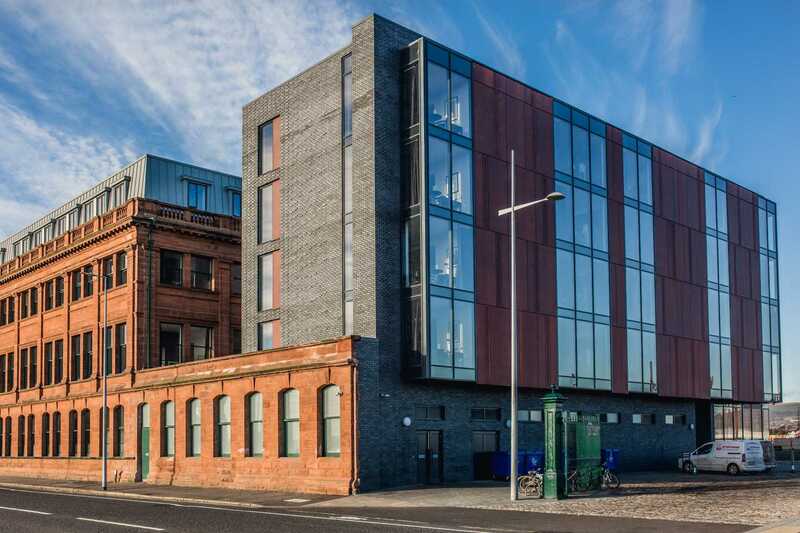 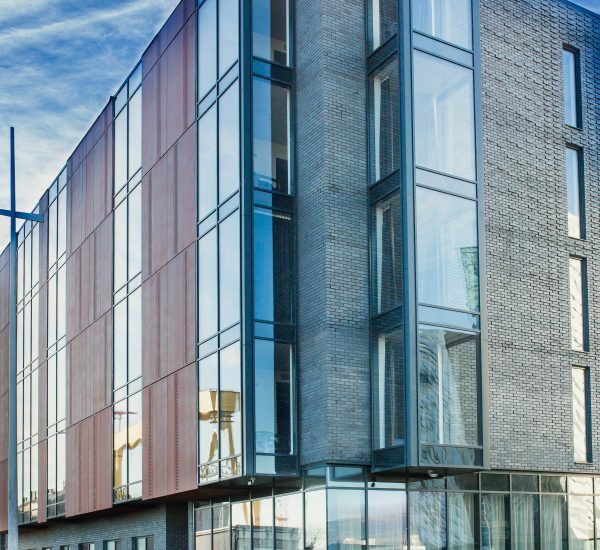 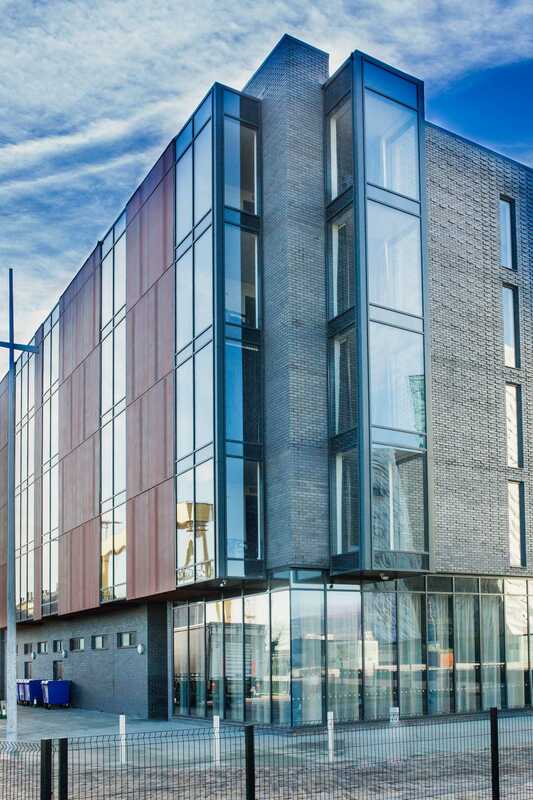 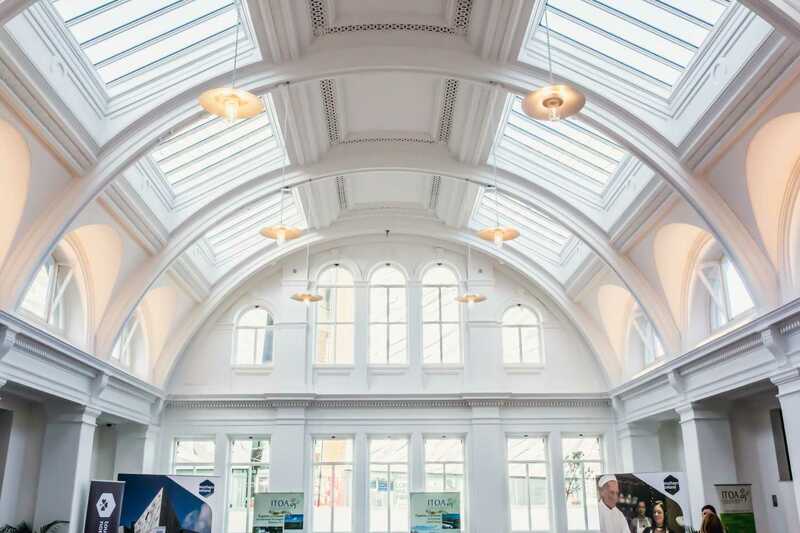 The Grade B+ listed Harland & Wolff Drawing Offices and Headquarters building is both the inspiration for and heart of the Titanic Hotel. 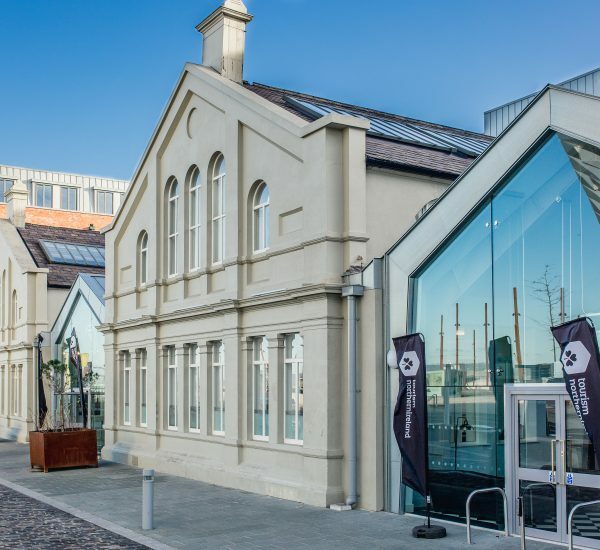 The historic fabric, built in stages from 1886 to 1922, was sensitively conserved and adapted in accordance with conservation best practice and extended to incorporate three new steel and glass pavilions, a structural timber additional top storey and a five-storey bedroom over restaurant block with a steel-framed, glazed link. 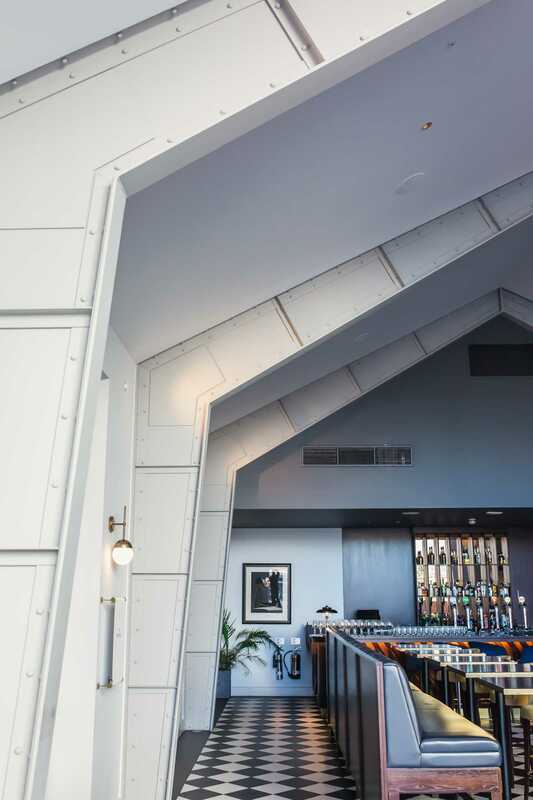 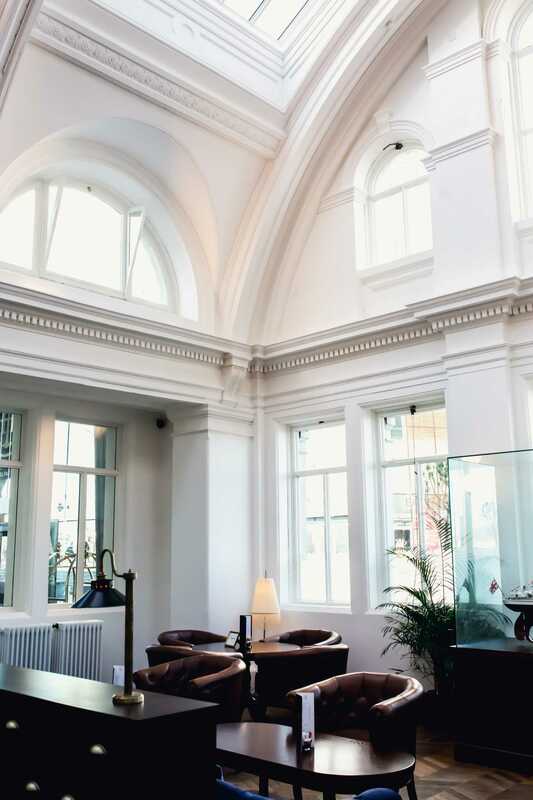 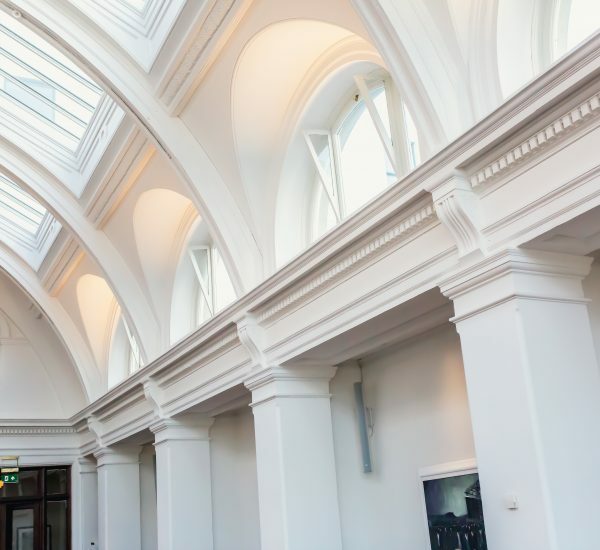 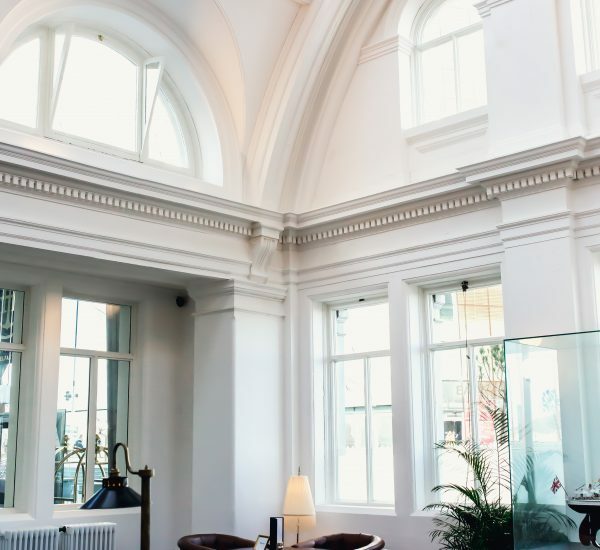 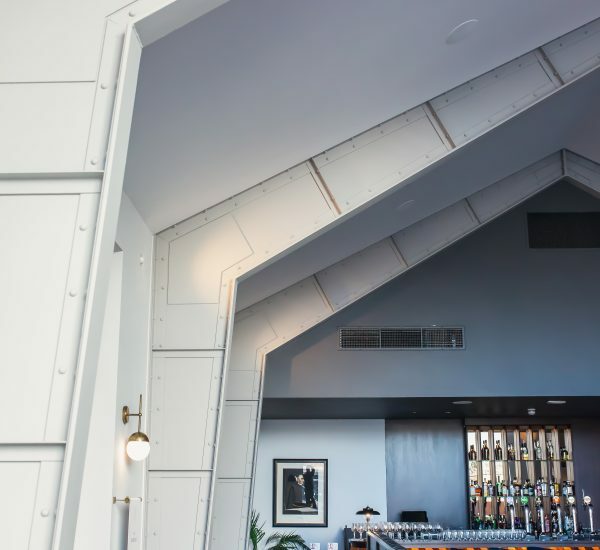 The historic headquarter offices were adapted to provide three floors of bedrooms over lobby and event spaces and the two dramatic three-storey high barrel-vaulted historic drawing offices now accommodate the ballroom and the hotel’s primary bar. 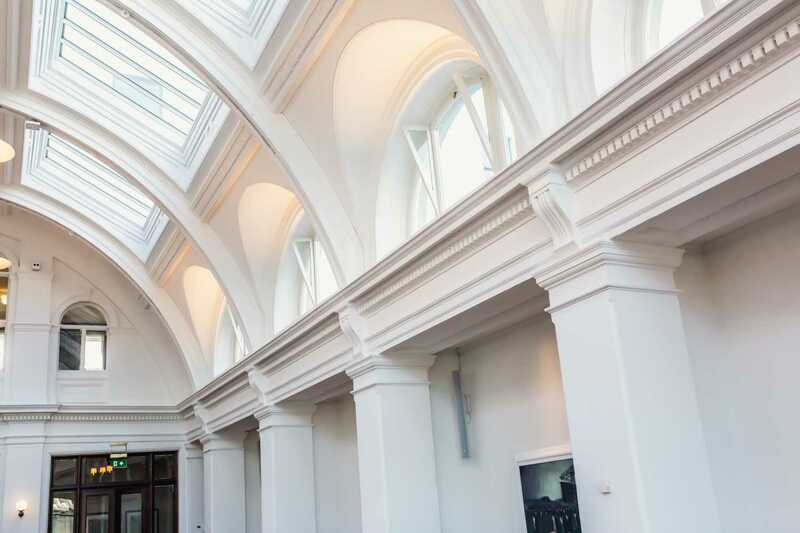 Careful planning and methodology of construction, combined with continuous monitoring of the effects of construction activities on the historic fabric enabled significant structural insertions and modifications to be safely completed without adverse impact on the listed building.